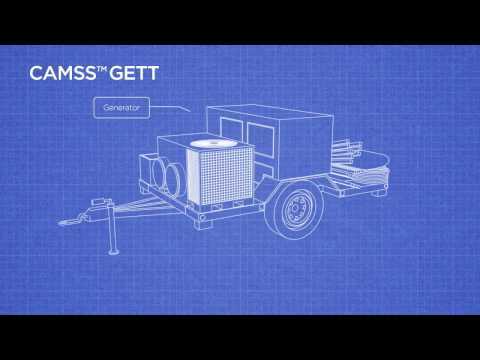 Introducing the GETT Trailer system, the all-in-one rapid deployment package. This system is composed of a Generator, Environmental control unit, and a Tent (shelter) all on a HMMWV-towable Trailer (GETT). This package allows for convenient transportation via light military vehicles and comes with everything necessary for quick setup of a working shelter. *This trailer system has a variety of TAC Series shelters to choose from. Please call us to discuss other options. 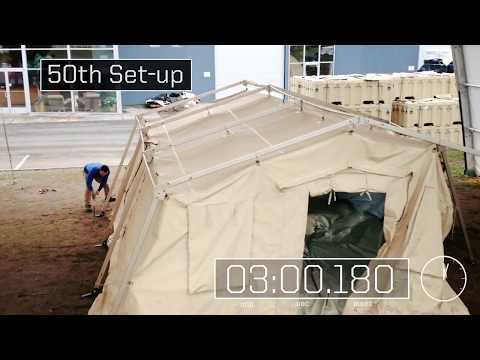 Introducing the GETT Trailer system, the all-in-one rapid deployment package. This system is composed of a Generator, Environmental control unit, and a Tent (shelter) all on a HMMWV-towable Trailer (GETT). This package allows for convenient transportation via light military vehicles and comes with everything necessary for quick setup of a working shelter. *This trailer system has a variety of TAC Series shelters to choose from. Please call us to discuss other options.